For fans of Prep, Dead Poets Society, and Special Topics in Calamity Physics comes an elegant and remarkably insightful coming-of-age debut, in which a young woman’s serendipitous discovery of her college’s underground Shakespeare Society leads to an unforgettable series of transformations. When Naomi finds herself among “the Shakes” at Wellesley, she finally lets herself embrace the passionate inner self she’s always kept locked away. But when a sudden scandal unfolds, she will be forced to learn the limits of the relationships that have sustained her. 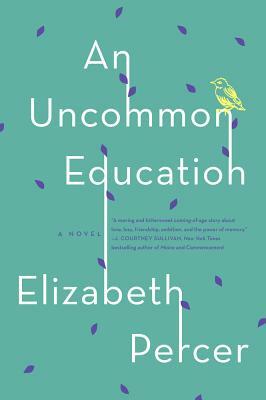 An intimate and enthralling narrative, Elizabeth Percer’s debut novel An Uncommon Education marks the emergence of a stunning new literary talent.